SWOT Vac is a time for you to cram a full semester of knowledge into one week, right? Believe it or not, SWOT Vac week is a great opportunity for you to stop, relax and reflect on the past 12 weeks. You should be proud of the hard work and effort that has been the past semester. Use SWOT Vac to your advantage and make the most of your available time. We are here to provide our top tips for surviving SWOT Vac and keeping your cool. Know your school. Schools provide extra assistance during this busy time. Visit your school’s website or contact your subject coordinator through details on the LMS. Study Zones. Our libraries offer extended opening hours during SWOT Vac for a quiet place to study on your schedule. Extended hours for Baillieu Library After Hours Study Zone (24 hours), Eastern Resource Centre After Hours Study Zone (24 hours) and Giblin Eunson Library After Hours Study Zone (24 hours). Click here for all opening hours. Identify your resources. It’s all in the preparation. 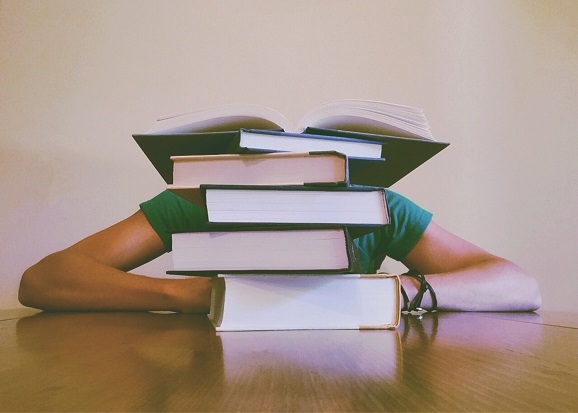 Exams can be daunting; however, revision tips can help you with internal worries. These resources will prepare you for the upcoming exam period. Chill out. Taking time out to relax is really important for your health and wellbeing. We understand that chilling out is easier said than done, however check out these mindful tips to learn more. Sleep well. Getting enough zzzzzs isn’t always easy and it is an extremely important part of a balanced SWOT Vac. Click here for some simple tips on routines to make falling asleep – and staying asleep more achievable. Reach out. Connect with us and book an appointment with Student Connect at Stop 1 to talk about ways to improve your study habits. Over 95% of students who come to our appointments leave feeling motivated, connected and knowing what to do next. Keep the balance. Maybe you’re working part-time, have a family, taking on extra subjects or just want to have enough time to yourself. Use these tips to keep on top of your time management skills. Use these tips in combination to tackle any upcoming hurdles. Visit the study skills and resources page for more information.